Doctor Oumeish was born in Salt City – Jordan and attended high school in Amman, Jordan. He took his medical education at the Alexandria – University – Medical School (Egypt), following which he joined the Royal Medical Services – Jordan Armed Forces, where he did training in medicine and dermatology for 6 years. Subsequently, he earned the Diploma in Dermatology from London University and the Diploma in Sexually Transmitted Diseases from Liverpool University. Doctor Oumeish also served a fellowship at the Massachusetts General Hospital – Harvard Medical School in Boston. 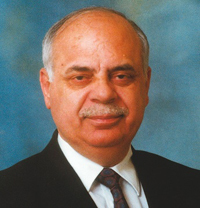 During his medical career, Dr. Oumeish has been Administrative – Director for King Hussein Medical Center and Chief of both the Department of Medicine and the Department of Dermatology. He completed his army career as a major general and has practiced in the private sector in Amman as Director of the Jordan Laser Center and the Amman Clinic. Additional accolades include being Visiting Professor of Dermatology at Tulane University School of Medicine in New Orleans and President of the Jordan Private Medical Association.